Product #60634 | SKU RS-02-LANC | 0.0 (no ratings yet) Thanks for your rating! Specifically designed for the Nucleus-M. This Tilta Nucleus M Panasonic GH4/GH5 Run/Stop LANC Cable for the Nucleus-M give you run/stop capabilities in camera systems that support it. 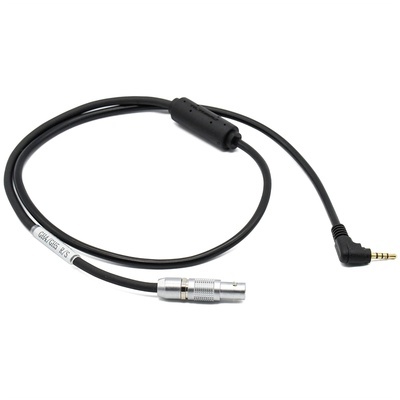 Simply plug the 7-pin end of the cable into one of the motors and the other end into the R/S port of the camera. Note that this cable was specifically designed for the Nucleus-M so the R/S function only works with the Nucleus-M’s own hand unit and hand grips. Note: Please note that the RS-02-LANC cable is not compatible with the Ursa Mini Pro.